In response to over 6,000 rockets being fired into southern Israel by Hamas militants in Gaza since 2005, Israel launched Operation Cast Lead in December 27, 2008, in an attempt to stop the rocket fire, make their southwestern border more secure, and cripple Hamas enough to end their barrage. For the Gaza Strip, the incursion resulted in a supposed 1,300 Palestinians killed, 5,500 injured, and 4,000 buildings were reduced to rubble. For the Israelis, a mere 13 Israeli troops were reportedly killed in the conflict. A day before Barack Obama was sworn in as President of the United States, though, Israel ceased their air strikes and brought home their ground troops, signaling to the world that the conflict was over. Progress in the conflict made it look like Israel would be the complete and decisive victor, and yet, they withdrew from Gaza, surprisingly not even leaving a contingent behind. Was pulling out a way of showing an upcoming American president that Israel was serious in talking peace with this new mediator? Did Israel pull out because United Nations’ pressure was forcing Israel to expedite their maneuvers before a U.N. censure was enacted or peace keeping troops were inserted? 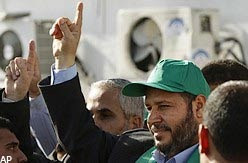 Or, is it true as Hamas leader Khalil al-Hayeh had declared, “We say proudly that Gaza has won the war, the resistance has won the war, and Hamas has won the war” (reported in The Jerusalem Post, Friday, Jan. 30, 2009). Who actually won and what was actually accomplished has left much of the whole world a year later still scratching their heads over these questions. Israelis claimed at the time they had met their objectives, reducing Hamas’ tunnel networks and rocket supply. The searing reality of Operation Cast Lead, though, is that Israel only temporarily achieved their objectives. Hamas continues to have an iron control over the people of Gaza, abusing their fellow Palestinians like hostages. The launch of missiles into southern Israel continues with more than 280 rockets and mortars fired at Israel since the end of Operation Cast Lead. Aid poured into the country for rebuilding like never before, which Hamas intercepted and used to fund their rearming. In the Muslim world, the scrappy little resistance against the “Zionist regime” won Hamas great honor. In the free world, though muffled comments did arise that Israel had the right to protect itself, the largest gathering of world voices led by U.N. Secretary General Ban-Ki Moon shouted that Israel was the evil aggressor and is seeking to bring up Israel for war crimes. By the end of the conflict, it became too obvious that Israel lost the public relations war, a war that Hamas is clearly an expert at winning. Adding actions to Gen. Galant’s words, Israel responded by dropping leaflets over Gaza warning residents to stay away from areas where terrorists are operating. Then, on January 7, the Israel Air Force [IAF] bombed “one terror tunnel in the central Gaza Strip, two smuggling tunnels in the Rafah Border area [Egyptian–Gaza border], and one weapons-manufacturing facility in Gaza City” (Bridges for Peace, Jan. 8, 2010, IDF Press Release). It appears the world is looking at the beginnings of what Israel will have to do in Gaza to finish what they started — an Operation Cast Lead Redux. Only a year later, though, it is a much scarier world for Israel. Gaza is now better equipped with missiles that can reach as far north as Tel Aviv. Hizbollah well controls Lebanon and has nearly 40,000 missiles pointed south at Israel. Syria and Iran have made a compact to aid each other if Israel defends itself against an Iranian nuclear threat. Turkey has cut ties with Israel and has sided with Syria. The United States is arming Saudi Arabia and other Muslim nations much to Israel’s dismay, clearly indicating it is no longer a friend. And, the world’s public opinion is clearly for the Palestinians. There is no doubt that Israel looks friendless, helpless and hopeless against these staggering odds. And, that’s exactly how God likes it! As 1 Corinthians 1:27 states, “But God chose the foolish things of the world to shame the wise; God chose the weak things of the world to shame the strong.” In their apparently weakened state, Israel is looking ahead to what will prophetically be their biggest victory — first through the Psalm 83 subjugation of their hostile Arab neighbors and the nuclear destruction of the biggest hot seat of terrorist activity in Damascus (Isa. 17; Jer. 49), and then the Gog-Magog Battle (Ezek. 38-39). The second incursion into Gaza may only delay the inevitable, but the inevitable eventually has to occur. 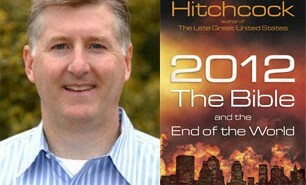 We could see this all begin to come down in 2010, or not, it all depends on the Rapture. i`m not saying it occurs before or after the rapture, i simply dont know. i AM however certain Gog/magog happens AFTER the rapture. let me ask this tho, and anyone reading this feel free to answer, if psalm 83 happens AFTER the rapture can anyone NOT see the rapture occuring in 2010? and if psalm 83 occurs BEFORE the rapture can you see the rapture NOT happening in 2010 or 2011? we must be really close! Just to be awkward, I don't think Psalm 83 itself sounds like a war to me, more like a prayer ABOUT Isaiah 17 and the way Israel's neighbours are plotting and scheming to over throw her in Ezekiel etc.? Does that make a difference do you think? As for the article, it is always the same in my view; Israel is damned if she do and damned if she don't, without divine intervention the outlook will always be bleak. imo. you should read bil salus` book "isrealstine" in it he proves psalm 83 is a prophecy in the form of a petition. even if you dont agree with his conclusions it`s still a good read. I was stumped at the end too regarding the Rapture. However, I now think Nathan probably means that it depends on the Rapture wheather or not we (believers) will be here to see all this come down in 2010. Will do! I have ‘Israelestine’ but so far haven’t been able to get past the first few pages, but I shall give it another go. Bill Salus is a nice chap, I like him a lot, but I doubt I shall agree with his conclusions? One thing I do cheer him on about is the Muslim A/c theory; I defo do not agree with that idea. Isralestine is one of those books that definitely needs to be read at least twice. I think I'm on the third reading and I seem to learn more with each reading. 1st i visit your site every day and thouroly enjoy it (sorry bout bad spelling) 2nd, tho i`m not sure of the rapture/psalm 83 order it seems likely both will happen soon. 3rd i only read the book once and do not own it. i hope to get my own copy soon. I'd like to take the credit and say I keep you all guessing, but I honestly didn't realize the closing statement would infer the Rapture had to happen before a Psalm 83 scenario. My bad! I can see a Psalm 83 happening before the Rapture, but definitely not the Gog-Magog Battle. God revealing Himself to the world through a supernatural victory and fire falling on the invading countries is too much like a post-Rapture world. Dawg said "if psalm 83/isaiah 17 occur BEFORE the rapture then with terrorism minimized it could bring a sense of "peace ane safety" which is prophesied both at the time of the rapture AND Gog/magog"
Dawg, this definitely fits in with your oft stated (to the effect of) "people will be marrying, etc". I agree with you that things will be "normal" and people will feel secure prior to the Rapture. Normality and security could definitely follow psalm 83/isaiah 17. Can you imagine how these same people will feel immediately after the Rapture?! To me, the Psalm 83/Isaiah 17 war theory makes the most sense to explain why Israel would be in peace and safety. And it would also explain why Ephraim (in Isaiah 17) suffers damage. That tells me that the heaviest fighting will be along the Lebanon/Syria and will most likely use nukes. After that, with Hizballah wiped out in the north and Hamas gone in the south, Israel could sit pretty — for a minute anyway. with the use of nukes and the severe damage done in the middle east psalm 83 fits a pre and post rapture world. the point of my comments isnt necessarily the timing (i think it could go either way) my point is the both seem VERY near. the question remains (retorical but feel free to answer) can you see these 2 events NOT happening in 2010 or2011? The pre-trib rapture we have all been sold on, is actually a very recent development, was not taught by the early believers, and is a theory conjured up and spread around by a few men and one woman who wanted to explain away the absence of the terms for the church or assembly of believers in Revelation after chapter 1-3. The truth is that if the bible is read without preconceived ideas about a pre-trib rapture, the classic "rapture verses" in Thes. and Cor. are speaking of the resurrection, which could come much later than is expected. All this to say that we as believers need to recognize and embrace our identity in Israel, Rom. 11,and be prepared to face more persecution than has been normally taught. We're not just going to "fly away". But we are called to patience, sobriety, and watchfulness. Some of us may even face martyrdom. Please check these things out. The Lord bless you and keep you. The key sentence in Anon's post is "Some of us may even face martyrdom." I don't have the desire to be a martyr. Martyrs put a capital "I" in Christ. Question: If the pre-trib rapture is a recent development and wasn't believed or taught in the first century, why were the Thessalonians afraid they had missed it or why were they concerned that it hadn't occured before they went through what they thought was the Tribulation? That implies that this so-called errant teaching was already being broadcast within 40 years of the Resurrection. Another point: If we know that Jesus is returning 7 years after the signing of the covenant the Antichrist makes with Israel, then how can He come unexpectedly like a thief in the night? We would be able to say, "Oh. AC just signed a treaty with Israel. Only 7 more years until the Rapture." and look at the different discriptions: rapture meet the lord in the air, 2nd coming seprate sheep from goats. rapture the lord himself descends 2nd coming he sends his angels to gather his elect rapture like a theif 2nd coming, sea turn to blood, searing scorching heat, armegeddon. . .
rapture ressurected bodies, 2nd coming enter the kingdom (isaiah speaks of limited death) rapture go to fathers house 2nd coming enter the milleneum rapture day and hour unknown 2nd coming 1260 days after abomination. needless to say its clearly 2 different events. rapture THE TRUMPET OF GOD 2nd coming A trumpet. also its NOT a new doctrine. ephreaum the syrian (325 A.D.) taught it. so it scores of early church fathers and people (which is documented)in the 15 and 1600s taught it. Anon said "The truth is that if the bible is read without preconceived ideas about a pre-trib rapture…"
I read it WITHOUT preconceived ideas…I didn't even know what it was…and I concluded pre-trib. So much for that theory. Anon said "the classic "rapture verses" in Thes. and Cor. are speaking of the resurrection…"
I assume he means the resurrection of the dead. What about it saying those still alive will not experience death but will meet in the air with the dead that were resurrected? Anon…nice try but not a convincing argument for me. And isn't the (I'm winging it here) wedding celebration with Jesus and His church occurring during the tribulation period? All very good points, fellers. Those were just the two that popped into my head. And I have very little doubt that this Anon was a rock-thrower. All I can say is the sooner the rapture the better:) This of course is my personal earthly view, and God's plan is better. I look forward to meeting and spending eternity with all my brothers and sisters in Christ. The celebration feast with our Lord and God will be fantastic! hartdawg is probably right about anon throwing a rock and disappearing. But just in case anon reads, I'd like to ask this question – presumably the woman is Maggie MacDonald. If that's the case then please provide a pre-trib rapture statement from her. It should be simple enough. I think it was John Darby who first rediscovered the pre-trib rapture. Post-tribbers like to pretend that pre-trib is a new concept, when,in fact, it has been around since the 1st century AD. My theory is that the Vatican squashed any references to a pre-trib Rapture because the Church of Rome is amillennial. …Throw a rock? Did anyone get hurt??? "…NOT a new doctrine. ephreaum the syrian (325 A.D.) taught it." "…This steadfast belief…carried well into the third century. It was never embodied in any formal creed as such, but was written about and taught by a wide range of distinguished teachers, including Barnabas, Papias, Justin Martyr, Ireneus, Tertullian, Methodius and Lactantius. Only a few opposed the millenial view, namely Caius, Origen, Dionysius and Eusebius….after the Council of Nicea a new eschatology arose. …but from the early centuries and later times the pre-tribulation Rapture of all true believers was kept alive and revived by small sects of Biblical literalists like the Anabaptists and Waldenses. DID THE EARLY CHURCH TEACH A PRE-TRIB RAPTURE? …a Jesuit priest named Emmanuel Laconza came up with the pre-trib Rapture in his book written eight years before John Darby first preached his view. What would really clinch the matter…Well, there are two sources I would cite–one from the early second century and another from the fourth century–that clearly teaches the imminency of the Rapture. The first is called The Shepherd of Hermas, which was published at the end of the first century AD, likely written soon after John completed his Book of Revelation in 96 AD. This book The Shepherd of Hermas was even regarded as Scripture by Ireneus in 180 AD, but didn’t make the final cut for our canonical writings. This author–who is named in the Book of Romans 16:14–gives his End-Times teaching in the form of a vision which he relates to the Book of Revelation. I’ll quote here from that book–"I saw a huge beast (a la Revelation, chapter 13). The beast has four colors (which echoes the four horsemen of the Apocalypse in Rev. 6). It is 100 feet long, but I escaped from it, thanks to the grace and power of God." Then Hermas meets a virgin dressed in white, who tells him, "Thou hast escaped a great tribulation because thou hast believed and at the sight of such a huge beast, have not doubted. Go therefore, and declare to the elect of the Lord His mighty deeds and say to them that this beast is a type of the Great Tribulation which is to come. If you therefore prepare yourself and with your whole heart turn to the Lord in repentence, then you shall be able to escape it." This book was considered important enough to be included in the collection of New Testament writings at the Sinai monastery of Saint Catherine, which was built in the fourth century and where this book was found in an excavation conducted in 1844. In the fourth century, a Christian author named Ephraim the Syrian wrote a small book titled Anti-Christ and the End of the World, published in 376 AD." Darby was actually a fussy scholar. He was constantly at odds with what he felt to be heresies or lapses in Scripture. This trait has been noted by his contemporaries. I'm constantly amazed how people continue to associate his pre-trib rapture theory with M MacDonald. Even Rosenthal fell into this trap when he claimed pre-trib was a satanic delusion instigated by MacDonald's vision. Apparently Rosenthal wasn't fastidious with his research because MM's vision was of a posttribulational rapture. I can't even find any vague reference to a partial one. So I find it difficult to take seriously anyone who mentions Darby and MM in the same breath. RG said…"I find it difficult to take seriously anyone who mentions Darby and MM in the same breath." Oh, you noticed that too?!? Want to say how pleased I have been with these comments. I had a theory about Pretrib documents being confiscated by Rome; I didn’t realise there was any kind of evidence to support it. As for MM, it is frantic scraping at the bottom of a barrel trying to say she was Pretrib. It is so obvious the girl was an over zealous, confused, prepubescent teenager. I’m amazed that anyone with intelligence could take the girl seriously; she was a mix of Post, mid and partial rapture in her juvenile scribbling, not even a glimmer of Pre. How can anyone place her alongside a scholar of Derby’s note; none other than those who are desperate enough to try and discredit the Pretrib position come hell or high water? I feel embarrassed for them. Revelation 3:10 says that the church will be kept FROM (Greek "ek") the hour of trial which is coming on the whole earth, not THOUGH it. The time of trial is for earth-dwellers. According to the Bible (Philippians 3:18-20; 1 Peter 2:11; Revelation 6:10; 11:10; 13:8, 12, 14; 17:8), Christians aren't earth-dwellers (even though act like it sometime). Now, what happened to the Thessalonians was they received a letter supposedly from Paul stating they were in the Tribulation: they were afraid that they had missed the Rapture for some reason or other. Why would that bother them if they had been taught that they would go through the Tribulation? Doesn't make sense. "rockthrower" says to son of thunder, the scripture you mentioned is exactly why the resurrection cannot be imminent as is the pre-trib rapture taught. First there must be a falling away, as was taught in Tim". Paul is speaking of the ‘day of the Lord’ which is the 7 yr Trib. and what will occur before it starts. Some were telling the believers they were already IN the Trib. Paul is saying ‘No that is not what I told you’. In the same sentence Paul say’s; ‘AND’, the gathering i.e. the rapture. He speaks of the two part events separated in time that makes up the 2nd Coming event. Vs 8 explains further that after the restrainer ceases to restrain – AND THEN the lawless one will be revealed. 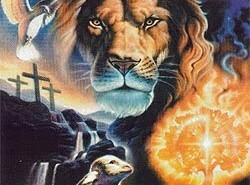 "The signs of the end-times are given in the Feasts of the Lord, considered by most to be Jewish. But in actuality they are for us as well, the grafted in branches to Israel (Rom 11)." Hmm! This is like the Q I asked Nathan, those who say they are Jews but are not Jews. The feasts of Israel are connected with the Law of Moses – the Church is not under the law. Although, EI, the Feasts do give us clues as to what happens and when. Prophecy is linked to the Feasts, ie, the life of Jesus. I know that's not the point you were making, just wanted to throw that in there. So anon was partly right, about the feasts anyway. And you're 100% right about not being under the Law. Check back through some of the older posts. You ain't seen long yet, brother. I disagree about the "and" in 2 thes 2:3. Paul is talking about both as they are related to each other.When I said the falling away that is mentioned in tim I meant 1 tim 4:1 as well as 2 tim 3:1-5. Once the lawless one is revealed, which i agree is after the restrainer ceases to restrain (possibly Michael)then the day of the Lord is at hand and our gathering to Him as well. CW, feel free to use the Name/URL feature for your "CW." URL box not needed. Helps in distinguishing all the default Anonymous'. I tend to think the Restrainer is the Church (see article). Michael's still on the scene and hasn't left Israel, especially in his binding of Satan at the end of the Tribulation. I do agree about the feasts and prophecy and the end times. The Church was born on Pentecost, but that was because Israel had rejected Messiah! Personally I think they are specifically God’s Feast’s for Israel as the Church was still a ‘mystery’ and seen only through ‘type’. I always assumed the Rapture, also a ‘mystery’, was the feast of trumpets, but I don’t think that any longer but it would take me too long to explain why. Just to emphasise that if one cannot see the distinction between Israel and The Church, it leaves a gaping hole of error to fall into; and the ‘synagogue of Satan’ being those who say they are Jews, but aren’t, is mighty serious. As for the ‘AND’, I am going by what the Greek scholars say it means. As for the Restrainer; it says HE, and as The Holy Spirit is seen to restrain in Scripture, I think HE is Him – but, perhaps Him IN the Church. I think it's Arnold Fruchtenbaum that believes the Restrainer is world governments, but I find that hard to accept because of the HE (singular and a personality). Ok! My brains gone slack – time for bye-bye’s. I remember now, if the Rapture of the Church is tied in with the annual Jewish feasts, then that means the Rapture wouldn't be imminent – but it is! I agree EI. I only agree in part about the feasts of Israel. I also believe that the Feast of Trumpets points to the Rapture in type: no one was ever really sure when the trumpet would blow, but they knew the general time-frame and were expected to be ready. Just like we don't know the exact time, but we can know the general time-frame and we are expected to be ready. I don't think that we can have a clear understanding of prophecy without a knowledge of the feasts. Such as Jesus being crucified on Passover, buried on Unleavened Bread, and resurrected on First Fruits. So it stands to reason that the rest of the feasts point towards yet future events. I have developed a stinking cold so I am not at all on ‘the ball’ and should probably shut up for now. No arguments about the Feast of Trumpets or the others. Usually Mid and Posttribs say it is the seventh trumpet blast in the Revelation sequence that is ‘the last trump’, but John had not written Revelation when Paul wrote Corinthians15:51-53. By Paul saying THE trump presupposes he knew that the Corinthians would know what he meant. Their knowledge was based only on the Jewish Feast of Trumpets as they would have had no understanding of what John was going to write in the Revelation. I expect you know that this last trump is called ‘the great trumpet blast’ the ‘tekiah gedolah’. There is more to it even than this, but I need a clearer head. Well, I pray you feel better, EI. EI, Excellent point! "…but John had not written Revelation when Paul wrote Corinthians 15:51-53." Have you pulled that on any 'Posties' yet??? Any back-blast? Had my very first "convert" from Post to the Pre-Trib view today. Surprising since supporters of the Post-Trib view are so adamant about their view because of their desire to prove themselves to God in martyrdom. Just wanted to share and celebrate a bit [doing Balki's Dance of Joy]. The standard response I get is that Paul may have had special revelation prior to John. But the problem is that the Corinthians didn’t and Paul would have spoken in terms that they understood at the time. Of course another possible come back is that Paul knew that Revelation was going to be revealed to John later and the Corinthians would eventually figure it out. Sounds far fetched to me though. WOULD be something to be concerned about. However, it doesn't at all prove they thought the RAPTURE had already happened. It shows that they were afraid the day of the Lord was at hand THEN, but Paul says no, not yet. 2. Not everyone believes that whoever is restraining will have to be out of the picture just because he is not restraining. As an example, if it is Michael he would simply cease to restrain at the command of YHWH to allow Satan his time of rule then later would stand, as is mentioned in Daniel 12,to again fight for Israel. 3.not everyone believes that there are two Second Comings of Christ. Just as the angels said that Jesus Christ would return as the disciples had seen Him go,so I believe there is only one time which can be stated to be the return of our Lord and that all the scriptures which speak of the day of the Lord and our being gathered to Him are one and the same event. This does not mean I am not waiting for Him or that I do not love His appearing, I am and I do! 4. I definitely do not see any gaping hole of error to fall into in believing that the Body of Christ and Israel are one. Have you read Romans 9-11? There are certainly unbelieving Israelites who are the natural branches which were broken off . There are also believing Gentiles who are the grafted in, wild branches. Then there are all the believing Israelites, like Paul,and the disciples who we are one with, also grafted in to their own tree. That is the assembly of called-out ones (ekklesia) from which we get the term "church". However, that doesn't change the fact that we are Israel as Paul so clearly stated. This is the "church". As for Rev. 2:9 it is saying the same thing as Rev. 2:2, that there were some masquerading as angels of light or as true believers who were not true. That is the synagogue of Satan. Certainly it doesn't apply to someone who takes the Scriptures literally which say that we are Israel. I am not claiming to be Jewish, and I am not a false believer so these Scriptures do not apply to me. 7. Finally, I am not a seventh day adventist nor Jewish (that I know of) nor an apostate. I simply love the truth and if there is no pre-trib rapture or if we are supposed to be keeping the Sabbath holy, I want to know. And if Constantine was anti-Semitic and changed laws that should not have become a part of the body of believers, I want to know that, too. E.I. I want to first make it clear that Post is built on the hermeneutic of Covenant Theology which is Allegorical. Pre is built on the Grammatical-historical hermeneutic that is Literal; this is the same method used by the Prophets, Jesus and the Apostles. It is essential to realise this fact because it means Post and Pre are effectively trying to communicate through different ‘languages’; it is this difference in interpretation that causes the confusion. LtheT.1. 2 Thes 2:1-3 says that they were shaken and troubled that the day of Christ was at hand…that WOULD be something to be concerned about. However, it doesn't at all prove they thought the RAPTURE had already happened. It shows that they were afraid the day of the Lord was at hand THEN, but Paul says no, not yet. E.I.1. The Day of Christ is the 7year Tribulation of Daniel (70th week). E.I.They were troubled because the Rapture HAD NOT happened and thought they were IN the Tribulation! If Paul had told them they would have to go into the Tribulation, they had no reason to be troubled about it. 2. “Not everyone believes that whoever is restraining will have to be out of the picture just because he is not restraining. As an example, if it is Michael he would simply cease to restrain at the command of YHWH to allow Satan his time of rule then later would stand, as is mentioned in Daniel 12,to again fight for Israel”. E.I. 2. The ‘end of restraint’ ends the 6th Dispensation because humanity has largely rejected Salvation. Every Covenant rejected by man has resulted in judgment ending that Dispensation. This time it is the 7 year Tribulation. Likewise the end of EVERY Dispensation also reveals the Grace of God, The Rapture of the faithful remnant, the Church, the Body of Christ is the evidence of God’s Grace before judgment comes. LtT.said. 3.not everyone believes that there are two Second Comings of Christ. Just as the angels said that Jesus Christ would return as the disciples had seen Him go,so I believe there is only one time which can be stated to be the return of our Lord and that all the scriptures which speak of the day of the Lord and our being gathered to Him are one and the same event. This does not mean I am not waiting for Him or that I do not love His appearing, I am and I do! E.I. 3. There is ONE event of the Second Coming divided into two specific parts exactly as there were two parts of the coming of Messiah the suffering servant, the Lamb which resulted in the Church and the Mighty man, the Lion which will result in the restoration of Israel – the Jews. Sorry, but I don't really care about hermeneutics. I am neither post nor pre-trib. I'm just reading the bible. But I'm glad you've got it all figured out. I AM interested in your version of dispensationalism, however, so if you have a link, do share. I am aware of the TWO parts of the coming of Messiah, and the distinction between them. I just don't believe there are three. Also, to believe that we may not be "raptured" before at least part of the tribulation is not a death wish. There are still promises of protection…that doesn't mean one has to be removed to be protected. Also, my reasons for believing that the resurrection of the living and the dead (dead first, of course) may take place later have nothing to do with a desire to be martyred…just a desire to be prepared for serious life-changing situations. Neither do I believe that being here for, say, the first part of the tribulation would be equal to being appointed to wrath, the wrath could be the end judgements of Revelation. Love the Truth, sounds like you follow more of a Pre-Wrath Rapture view, which has the Church raptured just before the bowl judgments (Revelation 16) that occur during the last quarter of the Tribulation. The bowl judgments are the only judgments this view considers to be the wrath of God, leaving the Seal and Trumpet judgments as wrath from man and Satan. But, isn't it Jesus Himself who breaks the seals that launch each of the Revelation 6 seal judgments which occur at the beginning of the Tribulation? Also, the seven angels who blow the trumpets that initiate each of the trumpet judgments are given their trumpets at the throne of God (Revelation 8:2). And, Revelation 15:1 states that the bowl judgments at the end of the Tribulation finish the wrath of God, not begin His wrath. The Pre-Wrath Rapture view then has it right when it says the Church will be removed before God's wrath is released on the world for its continued rebellion against Him, but it doesn't get it right that the wrath of the whole Tribulation comes from God from the very beginning. Jesus opening the seals from the very first one proves that all the Tribulation judgments are from God. For information on why I believe the Pre-Tribulation Rapture is the best argument for the timing of the Rapture, please visit this past blog article or article from our main website. LtT I have seen your recent post! As you are reading the Bible, then you are indeed dealing with hermeneutics, or interpretation, whether it’s your own interpretation or a scholars. E.i. 6. ‘oikonomia’; English translation as Dispensation, household, economy etc is a solid fact within the Scriptures. The CONTEXT of Eph4:5 concerns the Church formed at Pentecost when The Holy Spirit baptised believers (Jews only at first) INTO the ONE Body of Christ. Without that H.S. Baptism there is NO entrance into Christ’s ONE new man. This is why the O.T. believers along with the future Tribulation believers are NOT a part of the unique Body the Church. Gentiles were separated by a ‘wall of partition’ keeping them from the blessing’s of the JEWISH Covenants. Christ has broken down that wall of separation with the New Covenant to enable the Gentiles to partake with the Jews, the blessing’s of God. Eph.2:13-15; 16-18. vs.19 Gentiles become a part of the oikeios (household of God – from oikonomia) fellow heirs in Christ. I have deleted the remainder of my comments, I would like to just end with these points if that's ok? ”…I AM interested in your version of dispensationalism, however, so if you have a link, do share. Sadly I haven’t ‘got it all figured out’, as I too am ‘just reading the Bible’. I have been doing it now for many years, so hopefully, I have managed to learn a bit? Nathan can tell you what Dr.Reagan has to say. Otherwise I can recommend Dr. Arnold Fruchtenbaum who is a Messianic Scholar. Why, if the church is protected, is the purpose of the Church having to go through Daniels 70th Week, the time of JACOBS trouble; Jacob being the physical father of the 12 Jewish tribes. It will be these, as the 144,000 who will be responsible to evangelise survivors during the Tribulation, not the church who is conspicuous by her absence. I agree wholeheartedly with Nathan that ALL wraths, whether it be from man, wild animals, Satan or God directly; they are all at the behest of God. As the Church has obtained Salvation through Jesus, then why is she in any part of the Tribulation wrath, however it comes, which begins the moment Jesus breaks the first seal in order to begin the 7 years? Nathan, your 2nd link [article from our main website] is basically a 404. Their "Introduction to Dispensationalism" is right on! Whoops, sorry, here's the corrected link to The Rapture of the Church by Dr. David Reagan. Lovethetruth, a consistent hermeneutics is important as to how we deal with prophetic passages. Do we allegorize difficult passages in Revelation? What about Ezekiel’s Temple? As for dispensationalism, I’m still basically ignorant on many points. I’ve been reading the dialogue backwards and forwards with dispies and its detractors and I think the dispies make more sense. For example, the dispie response to the 95 Theses Against Dispensationalism is impressive to me. Perhaps the real crux of the matter should be whether there is a difference between OT and NT saints with respect to the timing of the First Resurrection and whether it might take place in one or two stages. Grundy struggled with this and with the timing of the sheep & goat judgment. BTW, there are different varieties of post-trib and Grundy tries to approach his from a dispensational framework, unlike Rose, Reese, Ladd or Payne. Not everyone reading the OT believed Messiah would come twice either. I don’t see a scriptural reason to disqualify the rapture and second coming as two distinct events. I think John 14 supports it. From what I can determine, pre-wrath also seems to teach more than one coming. DrNoFog, you'll want to add a little code to your links to make them hyperlinks with the url in between the "" and the text of the link between the anchor tags. Philippians,Colossians,Thessaloni-ans,Timothy,Philemon,Hebrews,Jude) Why must we believe that God, while not appointing us to His wrath, also has not appointed us to suffer persecution/tribulation? What of those our brethren who are suffering persecution and death right now in many nations of the world? The two are not the same(wrath and persecution), but they can correspond in their timing. Dispensationalism separates and labels and categorizes, but the truth is that we are Jacob, we are Israel, and to distance oneself from this fact only leads to confusion. Yeshua is the Good and Great Shepherd of one flock, His people Israel, but not all Israel (physical) are Israel(spiritual), but rather He has adopted us (those of us born again into Yeshua), grafted us into His family. Please stop looking for the rapture, emotionally difficult as it is to let go of the urgent longing to be taken up with our Lord,(who I believe is indeed preparing a place for us, the New Jerusalem) and realize that we may be here longer than anticipated. An interesting understanding of Revelation which I heard from a Hebraic perspective is that the opening of the seals is not necessarily the beginning of Daniel's 70th week. As a matter of fact, the four horsemen of Revelation could already be riding forth, the heavenly judgement court now in session, and our Lord Yeshua Messiah opening the seals. There is no scripture which clearly defines the seven years as beginning with the opening of the seals. And the interpretation of the white horse rider as the antichrist is 180-out if you look at the Greek which is the word "overcomer". The white horse rider, rather than a bad guy, is a good guy- the Elijah to come, promised to precede the coming of Messiah. Don't worry, I am aware that the next world leader coming on the scene to establish peace in the Middle East will be the antichrist. However, God is on the throne, and His plan is being carried out and we need to be watching and praying until He appears to exact vengence on all wickedness. I'm looking for Him as you are, just not imminently. Clearly, while it is understandable that it was believed for centuries that there would be a European antichrist, it now seems quite logical that he will be Islamic. New revelation is hard to internalize, but nevertheless, is very likely to be revealed in these days so we need to be willing to rethink some things, even if they are deeply ingrained through rigorous study. Sometimes we're (and others are) just wrong. Maranatha!